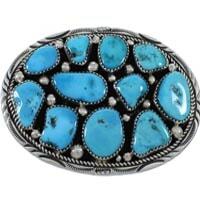 Sterling silver belt buckles hold a particularly unique seat in the jewelry world, with a distinctly colored past. What began as an accessory staple for rodeo kings and “wild west” outlaws and cowboys, has seamlessly transitioned into a reflection of sharp style, expression of self, and eye-catching design – for men, women, roughriders and city slickers alike. 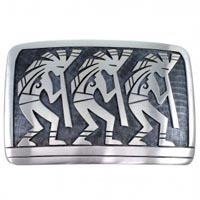 And now, SilverTribe is proud to present our collection of brilliantly bold sterling silver belt buckles too add to our vast collection of prized sterling silver jewelry. 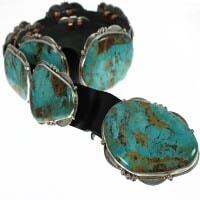 We invite you to discover the style each piece expresses, along with unique chapter of southwestern history, flare and uniquely personal fashion sentiment each rustic buckle beholds. 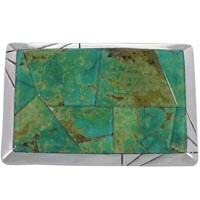 For rodeo rough-riders, earning a customized belt buckle was the epitome of triumph, and the ultimate sporting trophy. For champions, it signaled victory from within a dirt-clad, southern stadium – complete with a lively roaring crowd. 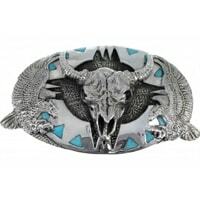 While obtaining a championship belt buckle is still a staple in the rodeo arena, sterling silver belt buckles have transitioned to a fashion statement that far outreaches the boundaries of cowboy fashion. 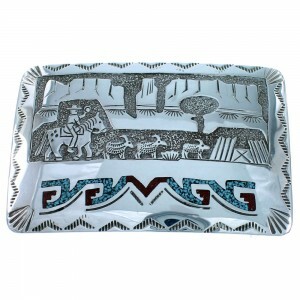 Today, men, women, seniors, teenagers, city-dwelling business men and southern belles (to name a short few) have learned the rustic fashion and southwest style associated with rocking sterling silver belt buckles. 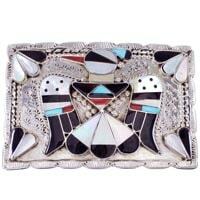 Sterling silver belt buckles are truly timeless accessories. 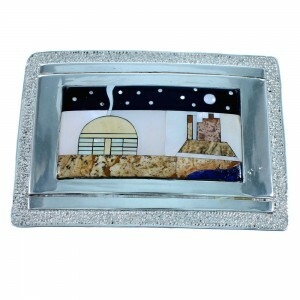 Capable of reflecting a multitude of country, rock, feminine and professional styles, the sterling silver buckles contained within Silver Tribe’s vast jewelry vaults contain a unique flare, for every unique personal statement. 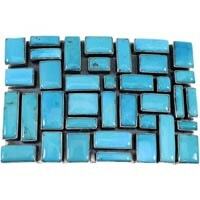 For a more traditional, southwest-inspired belt buckle style, consider opting for a piece colored with patterns and colors reflecting the bold hues of the southwest desert landscape. For an edgier look with sterling silver belt buckles, opt for opals and striking designs, as they’re likely to catch the eye more quickly. And for a more feminine and dainty appeal with sterling silver belt buckles, choose a more flowery design, complete with rosy stones and rich corals. 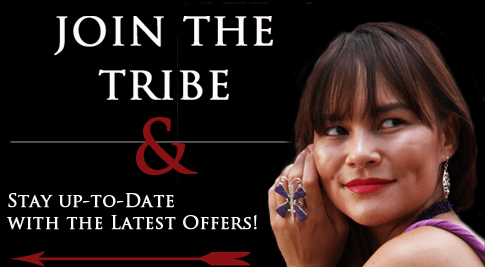 To discover your unique southwestern-inspired style, be sure to browse our vast selection of bracelets, bolos, necklaces, earrings, rings and pendants. 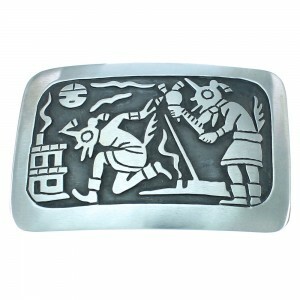 The sterling silver belt buckles found within SilverTribe’s inventory of classic, southwest-inspired pieces is rooted in multifaceted expression, and a rich, contextual history. All of the pieces contained in our vaults are meticulously crafted with the utmost care and engraved with precise beauty and artwork. 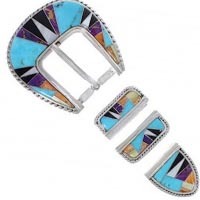 And what’s more, our sterling silver belt buckles are contrasted with some of the most stunning hues found from within the richly-colored southwestern landscape. From deeply dense corals and earthy ambers, to curiously brilliant turquoises and greens, the melody of color pallets to choose from are virtually endless. 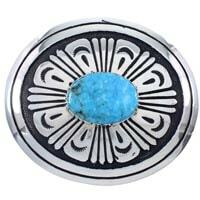 At SilverTribe, we are firm believers that impeccable style, including our vast selection of sterling silver belt buckles, shouldn’t come at a sky-high price. The piece contained within our priceless jewelry vaults, as stunningly fierce and unique as they may be, are also 100% affordable. And to become eligible for even more deals, be sure to sign up for our exclusive email club on the homepage – for FREE. Once you’ve signed up with our simple, two-step process, you’ll be mailed a series of exclusive sales, promotional offers and seasonal giveaways. Once you’ve found your perfect sterling silver belt buckle for whatever the occasion may be, be sure to browse our brilliant collection of sterling silver jewelry to complete your rustic, southern-inspired look.